It's time for a change - Spring Ahead! As much as I dislike the time change in the Fall, I'm actually looking forward to it this weekend because Spring is upon us! 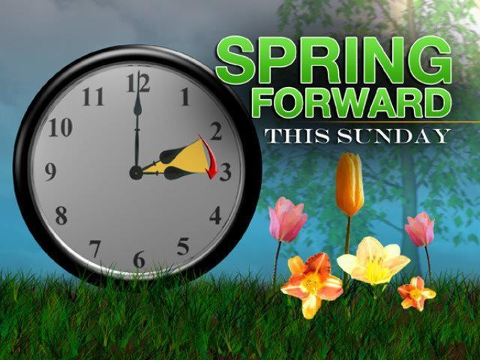 Don't forget that Daylight Savings Time begins at 2:00 am this Sunday, March 10. I'll be setting our clocks ahead one hour (Spring Forward... Fall Back) before going to bed Saturday night, which also happens to be our sons' 12th birthday. Now is the also perfect time to change the batteries in your smoke detectors! Do you look forward to Daylight Savings Time?